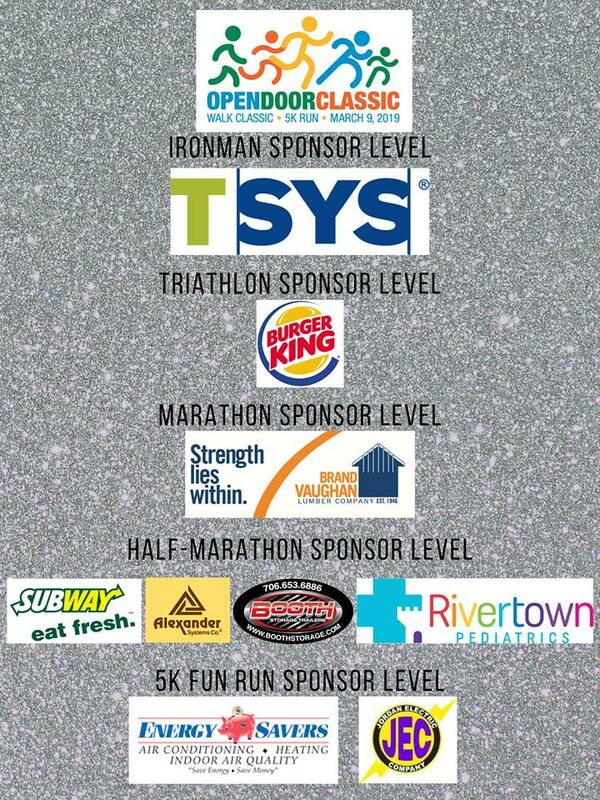 Thanks to these great sponsors for supporting The Open Door Classic Walk and 5K Run. Stay tuned! More sponsors are being added almost everyday. Would your company like to sponsor this event? Contact Cathy at Open Door for more information.